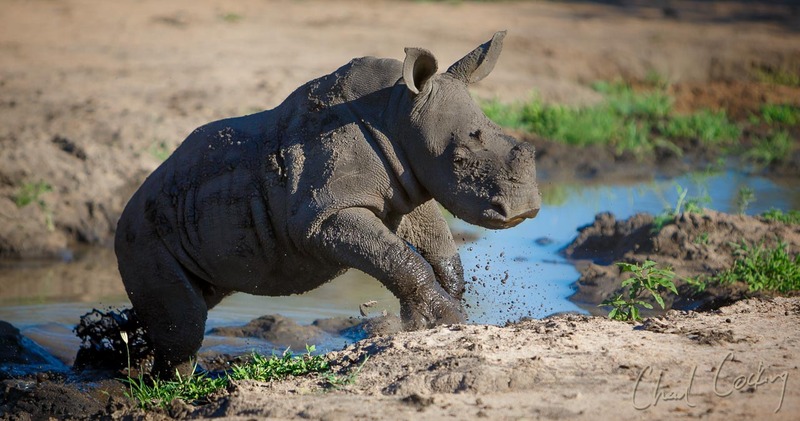 Greetings from a lush, green Tanda Tula Safari Camp, and welcome to another instalment of A Week in Pictures. The past week has seen a very welcome 81mm of rain falling at camp, with other parts of the concession receiving in excess of 100mm.Now, whilst this figure might not seem a great deal to many of our northern hemisphere readers, for us, this represents about a fifth of our average annual rainfall, and with the promise of more rain next week, things are looking up for a good summer of rainfall! The transformation of the surrounding bush has been incredible. 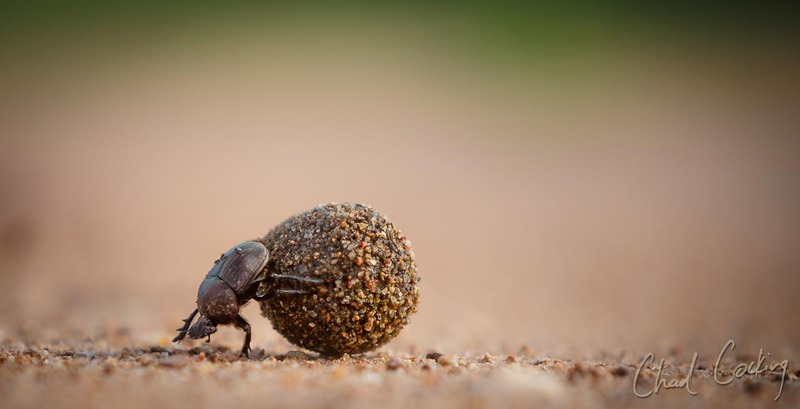 All parts of the reserve are blanketed in a vibrant carpet of green that is bustling with life, from termite eruptions to dung beetles busily rolling dung balls. Three of the four riverbeds flowed during the past week (the Nhlaralumi, the largest river in the concession being the only exception), and all the dams and pans are full to the brim, spoiling the animals for choice! The wetter conditions did make our lives a little bit more challenging as it limited off-road driving, but we made the most of it on the drier days. Luckily, many of the animals played their role and could be viewed without having to drive off-road. Once more, the week belonged to the lions, with all five of our viewed prides showing themselves on multiple occasions. The Zebenine Pride focused their activities centrally within the concession and were seen with full bellies a number of times, including a wonderful sighting of the pride feeding on a baby wildebeest. The Mayambula Pride were also around on an almost daily basis, but our timing had to be spot on before they moved down to the cubs hidden in the Machaton Riverbed.One of the guides did manage to see three small cubs very briefly before they returned to their den site on the river bank. Despite the fleetingness of the sighting, it is a good sign that the cubs are almost ready to be introduced to the wider world! The two Ross lionesses were seen to the west, and based on their bellies, I suspect that they may too be carrying cubs.I fear things won’t be easy for them, as again this week the large Giraffe Pride was found not too far away from their location. To make matters more complicated, the nine members of the River Pride also pitched up in the same area one day and from various reports it appears they had an altercation with the Giraffe Pride that evening. Needless to say, by the end of the week, they were back in more familiar territory to the north, where they spent a day resting. As the week drew to a close, they even caught a zebra foal. 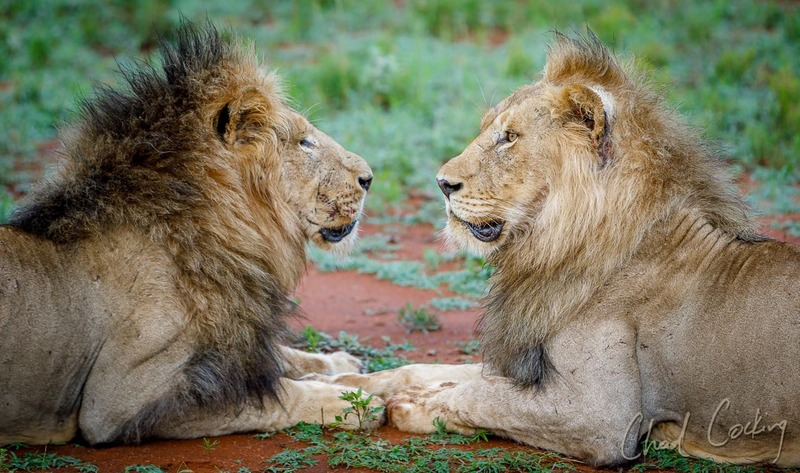 The lion mystery of the week though belongs to the mighty Mbiri males. Although they were seen together with the Mayambula Pride at the start of the week, the end of the week saw us finding two separated, and rather battered boys! 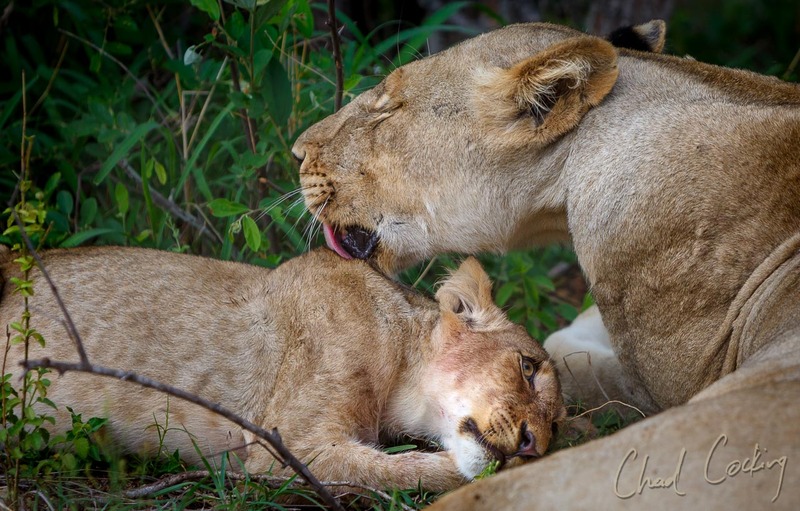 The smaller male had well and truly been in the wars, with massive bite marks on his forehead, whilst the bigger brother had many scratches on his hind quarters and back. 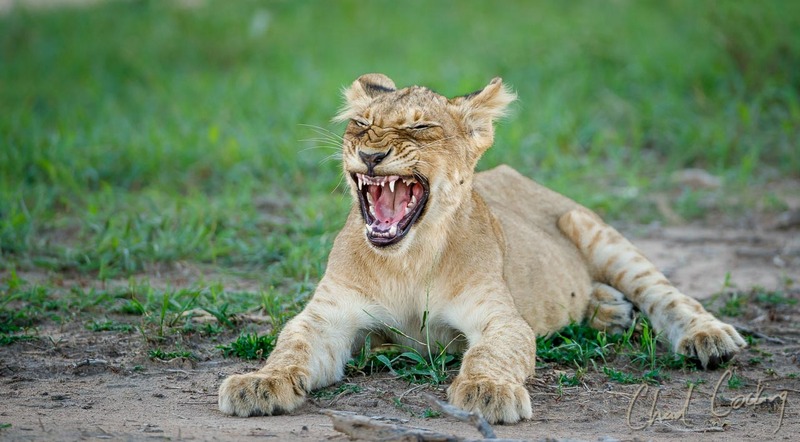 Exactly what happened is anyone’s guess, but there is no doubt that it was from fighting another male lion. At first, I suspected that the brothers may simply have gotten stuck into one another, but such damage seems excessive, even for them. There is a chance that they wandered out of the concession and encountered some rival males that needed to be taught a lesson! The fact that they have returned to their territory and did not run off suggests to me that they may have been the victors. It’s a story I really want to believe, as the last thing the lions need now is the disruption of pride take overs so soon after having had cubs. 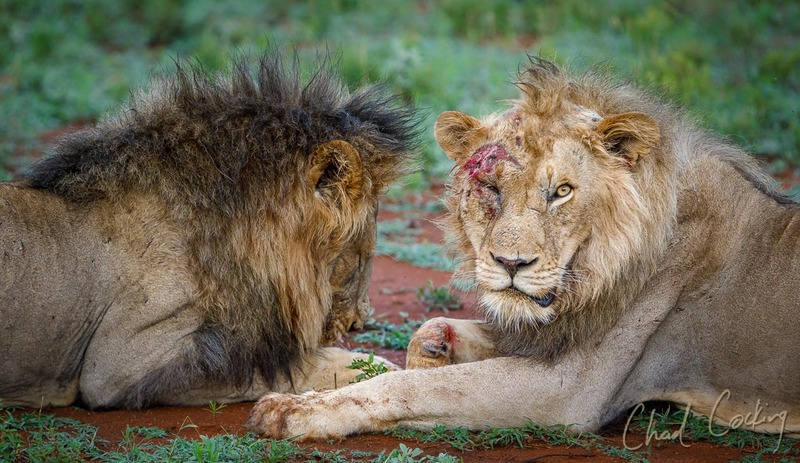 Although the wounds look nasty, they do appear to be relatively superficial and we are confident that they will both make full recoveries.Should any more news develop about incoming males, we will be sure to share it with you! The leopards were more elusive than last week, but considering the conditions, that is not a surprise. The Tamboti male was seen on a couple of occasions with a kill that he stole from Nthombi. Once more, Nthombi and her growing daughter provided the most regular viewing, despite the conditions. Fantastic news is that Marula has been seen with both of her cubs alive and well! They are still quite nervous of the vehicles, but as she starts introducing them to kills, we will have an opportunity to carefully, and respectfully start the habituation process. 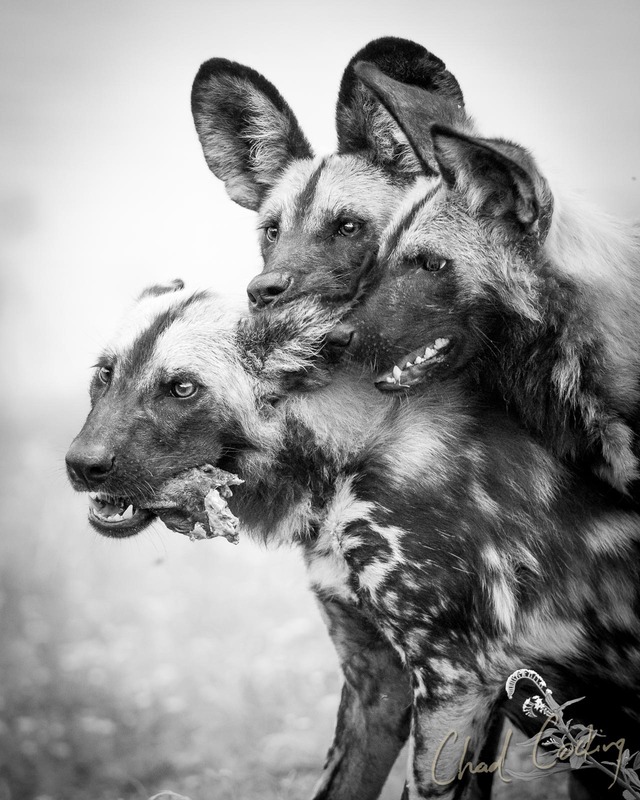 This week once more provided some good wild dog viewing as the pack of 18 spent a number of days within the concession. Despite some great interaction with both buffalo and wildebeest, they seemed to have better luck catching baby impalas and were seen feeding a few times. 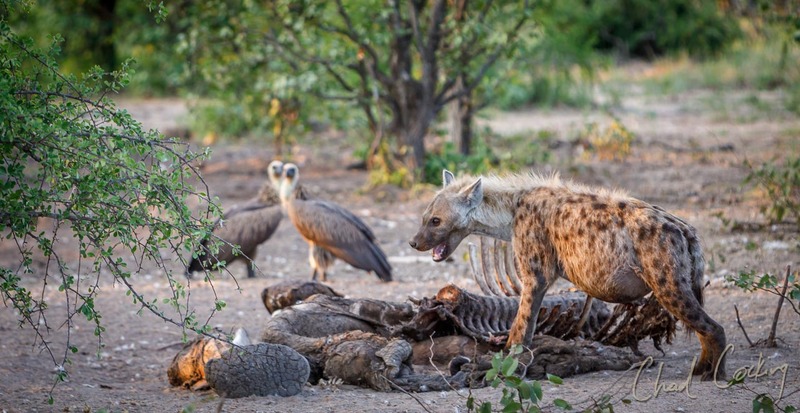 Tanda Tula’s hyena population also got a late Christmas present when they stumbled upon another elephant that had died of natural causes and they finished the entire thing in only two days! Strangely, most of the week saw the elephants avoiding the central and eastern sections, with the herds concentrated in the west (where they have been scarce for a couple of months), but as the week drew to a close, they returned home. Just this morning we must have seen close to a hundred elephants around the Nhlaralumi close to Tanda Tula Safari Camp. 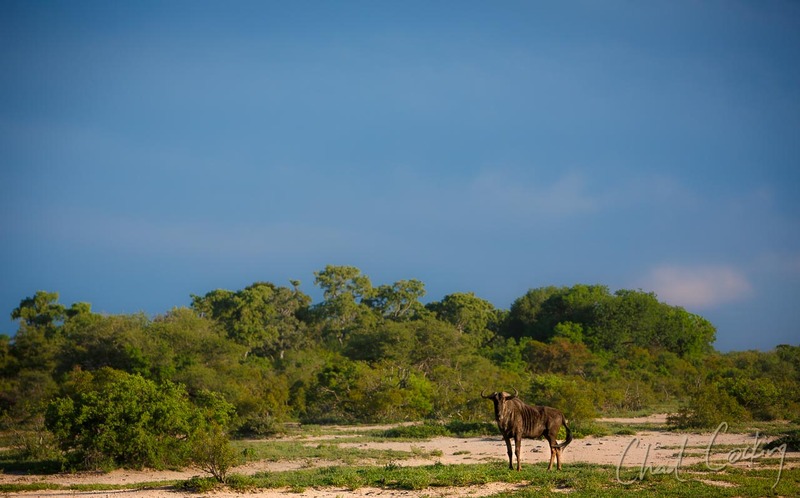 The same cannot be said for the buffalo, and other than a herd of 50-60 individuals that spent some time to the west of our tented camp, the herds remained elusive.In fact, this trend of the desertion of the central and eastern sections applied to the zebras and giraffes too. Fortunately, though, with the week coming to an ed, they seemed to make their way home!Let us hope that this latter trend is one that continues into the new week!